We started with the walls first. They went from Hog Bristle (light tan) to Precious Pink using a sample pot for $6. 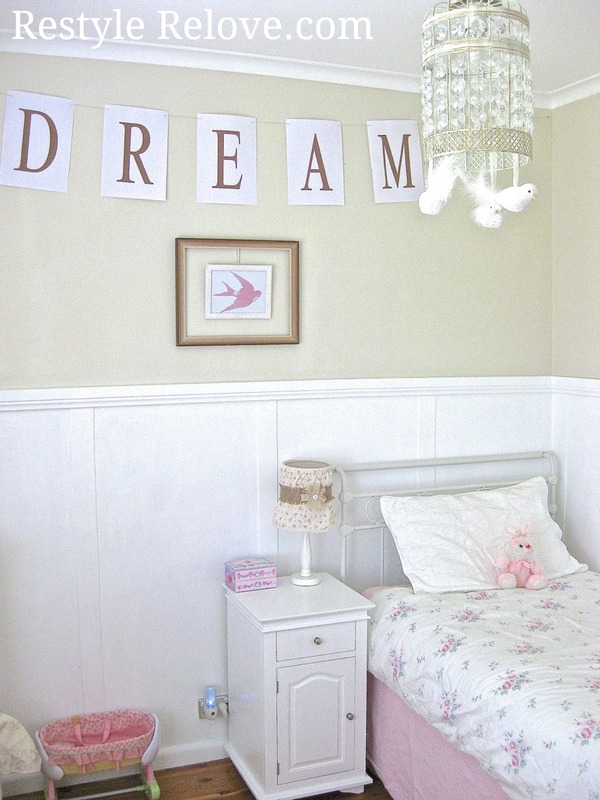 Then we mixed up 3 packets of wall stickers around the wall costing $15. ... and bed which were originally cream colours. I had a fairytale style mirror in my stash so it also got a Flamingo Pink make over and hung on her wall. I also replaced her tan floral fabric lamp shade with a pink polkadot one for $5. Her old tan block out curtains were replaced with pink block outs for $29. 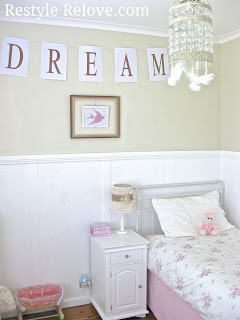 And no little girls room would be complete without a pink over the bed canopy for $12. She loves the way the netting falls around the sides of her bed. The new Lala Loopsy Quilt Cover was an early birthday present. While the cute butterfly cushions was only $7. The bed lights I made out of old christmas lights and fairy cupcake papers I had on hand. ... as was the bunting. I would have liked to get her a new rug, but nothing has caught my eye yet. The total room make over was just under $100. 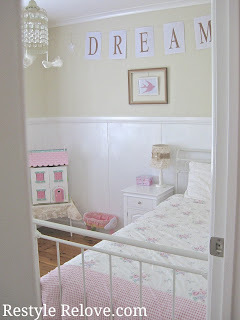 My daughter's happiness with her new room - priceless. Well oh my goodness, that is simply adorable! I love all of it, and I love your creative ideas!